There are many reasons you can use alternative web hosting and domain registrars. 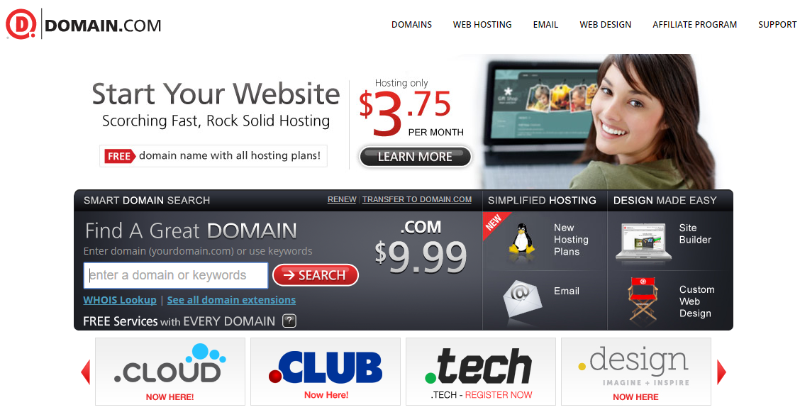 GoDaddy is a one-stop shop for web hosting and domain registrations. However, that does not necessarily make it your best shot. GoDaddy is a household name identified with many people. It has established a stronghold in the market over time. It serves tens of millions of users and enjoys great brand awareness. However, their established presence in the market does not by any chance mean that they are the best. GoDaddy might be the most well known with robust brand awareness, but there are other alternatives that cost less than GoDaddy and offer much better customer support and features. Please note that you will not get a lot of these features for free in all hosting plans. You need to filter and target what is necessary for your website needs. GoDaddy doubles as a web host and a domain registrar. There’s no denying that it’s among the biggest and most-known domain registrars. It offers acceptable site building tools, and it is even great for first-time registrations. However, this does not mean that it’s the best option. 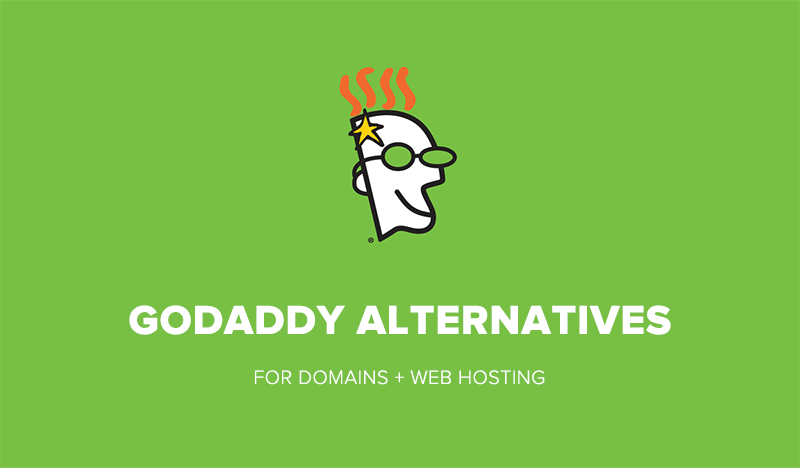 There are various alternative domain registrars that you can use instead of GoDaddy. The market is becoming diverse with more options offering more value for your money. Domain.com and GoDaddy are both best known for their domain name registration services, but they also both offer hosting options to their customers. GoDaddy offers a fair hosting solution for new website owners however Domain.com’s hosting really leaves a lot to be desired. For readers of makeawebsitehub.com I have an exclusive 20% discount on everything at Domain.com – simply use the coupon “SiteHub” at checkout which makes it a very cost-effective alternative to GoDaddy. NameCheap has cheap registration charges. NameCheap charges 10.69 dollars annually to register a domain name and 8.88 dollars to register for a limited time. GoDaddy, on the other hand, charges registrations at 14.99 dollars annually. GoDaddy is the best when they need you to register and buy your domain names. In fact, first-time buyers’ prices are so lucrative that you most probably won’t help it but register with them at .99cents. Domain name renewal fees at GoDaddy are so pricey that it makes you cringe when you receive notifications reminding you to renew. Whois protection is an optional service that domain registrars often charge. NameCheap provides Whois protection free of charge for the first year of registration. It is user-friendly because it provides an easy-to-use panel for managing your account. NameCheap is easy to use with a standby support system in form of tutorial videos and a well responsive chat room. Besides having user-friendly prices, NameCheap does not annoy you by spamming you with lots of marketing emails. • Offers domain transfers free of charge – Namecheap will help you move your website to their platform for free. • Money Guarantee – It has a 30-days money-back guarantee for gauging if you want to stay in their service. If you change your mind, at least you have a month to get a refund. • Gives value for money – Registering with Namecheap gives you access to some key features at no cost. For instance, you get a one year access to a free SSL certificate that is only payable after a year. • Namecheap’s uptime tends to be a little unstable at times. • Loads at slow speeds. Hover is a merger of three other domain registrars. It is easy to use because domain registration is all that Hover specializes in the market. GoDaddy might be a one-stop shop that registers domain names and hosts websites, but the kind of upselling that they impose on users in a bid to promote their other products is annoying. Focusing on domain registration makes Hover stand out because it means that all their energies are on ensuring domain registration and support is flawless. As a result, they have exemplary customer service with dedicated people trying to make users content. • There’s no upselling on Hover. • The prices are transparent. • It provides the best customer service support. • Hover integrates well with other apps. • Hover prioritizes data protection. • Hover plans are slightly pricey compared to other registrars. Various domain registrars have varying prices. Identify registrars that meet or come close to meeting your budget. You also want to inquire about all costs involved, avoid being ambushed with charges that you were unaware of during the registration process. Do some Research about a registrar’s domain transfer policy to avoid inconveniences should you need to switch shops. Some domain registrars do not allow transfers, and some charge to effect transfers. You need to know these details when gauging your options. Reading reviews is a good start to learning what previous users say about their customer care experiences. Alternatively, you can try a host’s customer care systems to see their responsiveness and functionality. 1) Shared Web Hosting – The web hosting provider hosts numerous websites on its server. This sharing aspect makes shared web hosting less expensive because the server costs are shared. One downside of shared web hosting is that one website can take the rest down if it crashes really badly. 2) VPS Web Hosting – Virtual Private Server (VPS) is more like shared web hosting. However, a few websites are hosted on the same server. 3) Dedicated Web Hosting – This type focuses on websites that require a lot of server space. Sites that require this kind of hosting occupy an entire server. This single hosting makes dedicated hosting costly but very powerful. 4) WordPress Web Hosting – Specializes in hosting websites created with the popular CMS WordPress. BlueHost provides shared, WordPress, reseller, dedicated and VPS types of web hosting. Customer service is an important aspect of any business. As a customer, you should be able to reach your service provider at any moment of need. BlueHost offers much better customer services support than you will ever get from GoDaddy. You can reach them via phone at any time of the day to get help or to inquire about their services. This mode of communication gives instant users an instant access to the services that they require. GoDaddy, on the other hand, supports users via a chat room, which is not well coordinated and has a slow response rate. GoDaddy is well established and it is tasked with servicing its large multitude of users. Most of the times, the servers at the host are overworked. This alone causes its services to slow down, and the results are always preceded by the painful slowing down of pages. You most probably want to choose a reliable and an all-time high performing platform like BlueHost. A website cost you lots of bucks for just going offline for a few seconds. Competent hosts try their level best to avoid website downtimes for their client, and BlueHost has a backup system called CloudSite. In case of any downtime, CloudSite automatically takes over. BlueHost provides training tutorials and videos for users who need help getting along. These tutorials and videos come in very handy when you have to troubleshoot on your own. BlueHost pays a lot of attention to the tutorials. They create their own content and update it on a regular basis. GoDaddy outsources people to create their content: a sabotage to the quality of the content. • It has great page loading speeds. • It offers cloud hosting that prevents downtime. • It delivers excellent customer services. • It allows unlimited data transfers. • Their prices are affordable. • They have a faster cPanel that helps migrating users to install WordPress and Joomla. • Its usage policies limit their unlimited hosting. • It imposes price increment during renewals. • It charges for site transfers. • It lacks a monthly plan offer. • It gives users minimum control over automatic data backups. 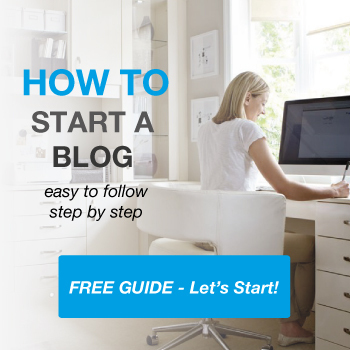 Go to www.BlueHost.com and click on the “get started now”. Use this link to get a FREE domain name. HostGator hosting options range from web, cloud, reseller, VPS, dedicated, WordPress, dedication and Windows servers. This is one of the most reliable hosts with 100 percent uptime and great management skills. HostGator manages their server spaces efficiently, minimizing cases of overloading, and domineering use by single sources. Their prices are flexible because they also consider users who want to host one site only. They offer more services for what you pay thus beating GoDaddy by far. • Has a variety of hosting plans with great shared hosting services. 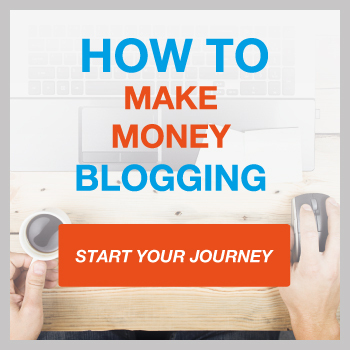 • It is good for beginners and small businesses. • It features great uptime. • Offers free transfer services. • Has customized firewalls against DDoS attacks. • Unlimited disk space and bandwidth. • Linus and Windows plans are available on shared and dedicated servers. • Slow customer service response. • Charges additional fees to restore from backups. • Does not offer any free domain registration. GoDaddy can definitely get some lessons on how to manage chat rooms from SiteGround. SiteGround offers excellent customer service through chat rooms. Ticketing is very prompt and their troubleshooting leaves users satisfied. Customers want to feel important and treated right. SiteGround understands the struggle and capitalizes on giving the best customer services. SiteGround is a reliable platform because it goes an extra mile in monitoring their servers in real-time just to make sure that everything flows at par. The server monitoring tool they use is so effective that on many occasions, it automatically troubleshoots without human intervention. As much as GoDaddy capitalizes on registering more numbers, they are poor at keeping users happy and maintaining customer satisfaction. Compared to SiteGround, which is continuously making a name for itself, GoDaddy needs to recover some lost trust. SiteGround is continuously improving its products and services for the benefit of its clients. • Improved performance and security by assimilating with CloudFlare. • Gives users the freedom to choose server locations. • It has http/2 enabled servers. • Great customer support system. • Provides relevant freebies to users. • They have an active customer security team. • Offers unlimited email accounts. • Lacks a Windows server alternative. • It does not have a month to month shared hosting package. • Strict data over usage policy. All these alternatives are by no means a guarantee that there is a perfect web hosting alternative. The point is to give you options that work much better than what you might be duped into believing are the best web hosting or domain registrar providers. From the above-mentioned alternatives, it is obvious that GoDaddy can do better. In the meantime, there are many other readily available competitors that can serve you well. If you are out to explore other options, please do. If it doesn’t work, you can always claim via their money back guarantee policy.